Police are hunting a useless guard dog which was STOLEN during a raid on his owner’s home. 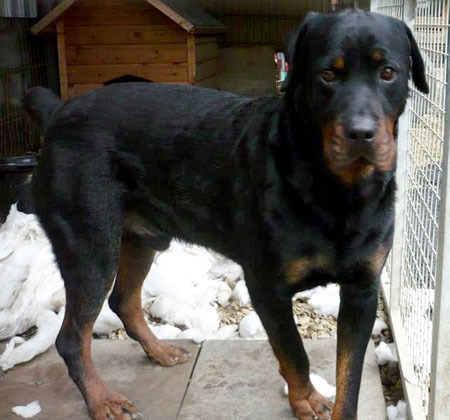 Rocky the Rottweiler was snatched from a fenced enclosure at the rear of his country estate home in Damery, near Wootton-under-Edge, Glos. The pooch – which was wearing a green collar – was stolen by thieves between 9am and 3.15pm on July 14. A spokeswoman for Gloucestershire police confirmed nothing else was taken in the raid and said the home was not broken into. Anyone with information is asked to call 0845 090 1234.